London-made, Line is local industrial production at its best. 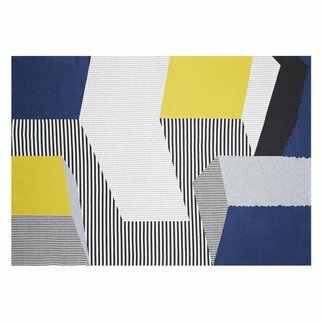 Graphic lines, block colours and alternating patterns are inspired by Op Art, and achieved by machine knitting and technical programming. 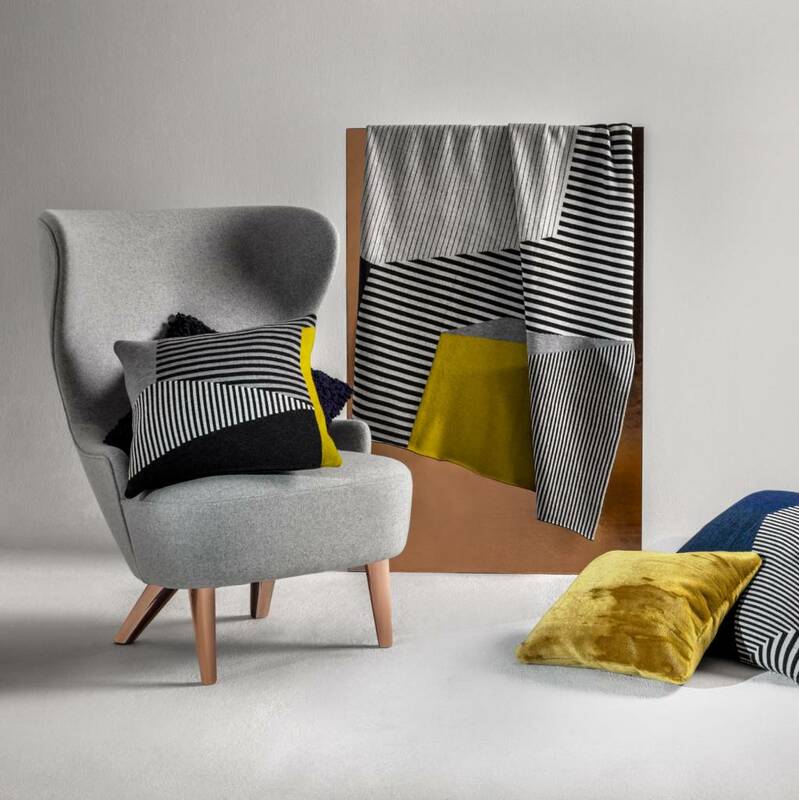 Giving a bold graphic hit to our collection, our two cushions and throw are the bold, graphic precision-engineered statement pieces of tomorrow. 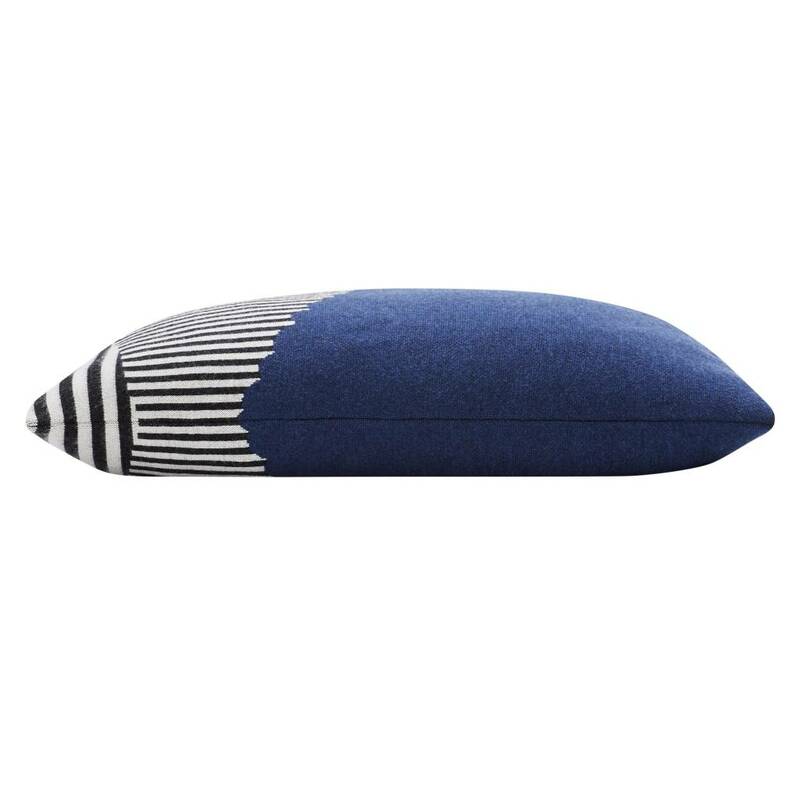 Each cushion comes with a branded copper-plated pull zipper with a blue zipper tape. They are filled with high-quality duck feather from Denmark. 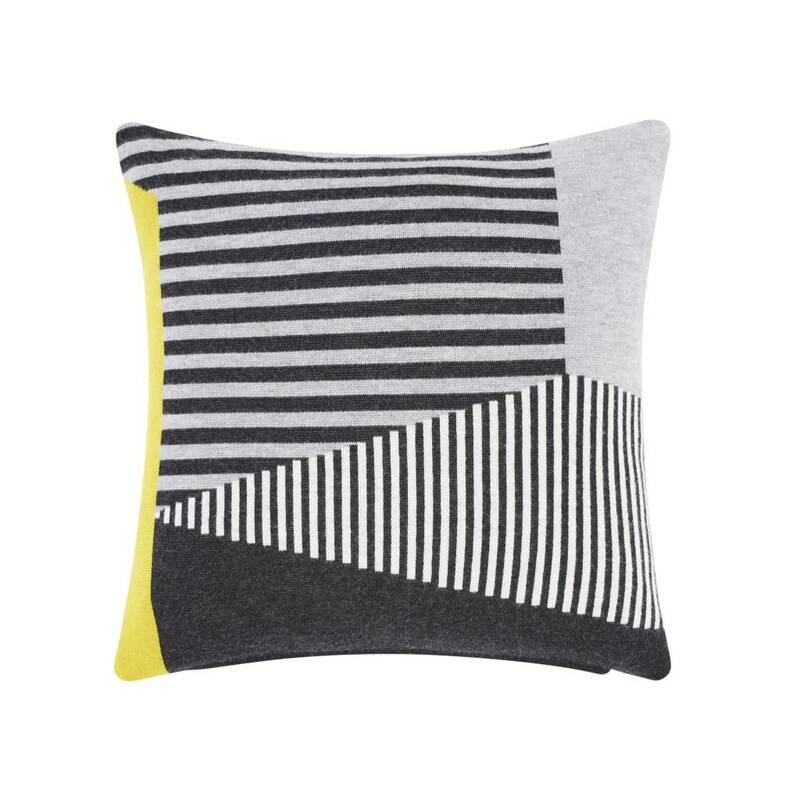 Composition: Cushion Cover: 100% Wool. Pad: 95% Duck Feather, 5% Duck Down. Dry clean only.